A smiling Keane at today's media event. FOLLOWING LIVERPOOL’S 3-0 Champions League win over Maribor last week, Roy Keane was asked about Jurgen Klopp’s side during ITV’s highlights show. The former Manchester United skipper’s reply went as follows: “It’s hard to figure out Liverpool at the moment. To me they’re going nowhere fast. “They’re neat and tidy, but defensively… come the end of the season when the prizes are being given out Liverpool will be nowhere near them. As they often do, Keane’s comments received quite the reaction. But the Ireland assistant manager backtracked somewhat during today’s press conference — admitting that they shouldn’t have been taken seriously, before stating that he has the utmost respect for the Merseysiders. “Listen, it was just a bit of tongue-in-cheek,” Keane replied. “Anyone who has ever spoken to me about football will tell you about the huge respect I have for Liverpool. I grew up watching them in the ‘80s — winning leagues every year — and I think my comments were, from my point of view, a bit of tongue-in-cheek. 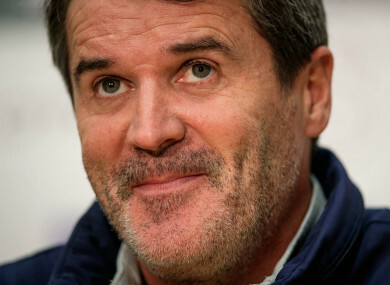 Email “'People should lighten up a little' - Keane's Liverpool comments were 'tongue-in-cheek'”. Feedback on “'People should lighten up a little' - Keane's Liverpool comments were 'tongue-in-cheek'”.